A generic drug is a chemical equivalent designed from a branded drug whose patent has expired. Generics market all over the world is seeing stupendous growth and sensing the growing importance of this market, we have added this portfolio in our report section. 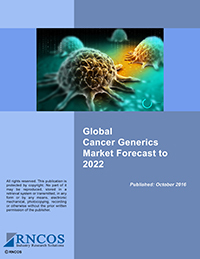 Our extensive collection of generic market research reports gives first-hand information on the generics market, spanning vital areas of the market, including analytical and statistical account, on the market. We use sophisticated analytical tool to carry out thorough research on the generics drug market and present a comprehensive overview on the market. Our team of expert analysts analyzes the different segments of the generics market to give clients best possible frame for decision making.